Hi guys – Nathan McDonald here from Black Belt Business, coming to you with another video blog – and today I’m going to talk to you about being stuck in a rut, or feeling you’re going around in circles in your business just doing the same thing over and over and over again. Or are you getting bored, are you just getting frustrated that you’re not getting where you need to and your business isn’t maybe growing as good as you need to or it’s not moving forward as you want it to, and you’re just going through the same things? Or here’s a better one for you: do you just hate getting up in the morning and going to work, and going to do your business? 1. The first point I want to talk to you about getting out of that rut is: it’s your choice. It’s your choice to actually be where you need to [be]. And I know it’s easier said than done, but you’ve got to make a decision whether you want to change it or not. A lot of people just don’t like making decisions, and they’re just sitting there and they’re just letting themselves just, you know, go through the motions. So the first thing that you really need to do is make a decision that you want to change. It doesn’t matter what the decision is, but reality is we’ve got to make sure you are ready to make that decision. 2. The second point that we want to look at is: you don’t know what you don’t know, so it’s time to actually learn something new. If you’ve been doing the same thing over and over again and you’re not educating yourself or you’re not finding out what’s latest out there – you’ve really got to start looking at getting into something new. Go out; do an education workshop; go and read an education book; go and get onto YouTube and watch an hour’s worth of educational stuff – either about your industry or about business or about marketing or about sales or about team – anything. Just do something – educate yourself on something different. What you’ll find is it will actually spark some ideas for you and then will start getting you out of that circle motion, or the rut that you may be in. 3. And the third thing that we need to look at is: go and experience something different. You know, you go to work day in, day out – or you go in to your business and you’re doing the same things over and over again. Why don’t you take Monday off? Why don’t you take Tuesday off? Wednesday, Thursday, Friday? Why don’t you actually do something different? Instead of going to work, why don’t you actually just take it off, go and experience something new – because you know what? You’ll actually recharge and come back to work the next day and you’ll probably feel better about yourself. And reality is, you may be doing the same thing, but you’ve had that break. You know, weekends just aren’t enough because we get into such a routine out there that on the weekend you’re probably driving your kids here, you’re probably watching their sports, you’re probably sleeping on the couch, you’re probably going to the movies, dinner with friends – and reality is, it’s the same over and over. So one of the things you could do is experience something completely different: just get up in the morning, say ‘I’m not going to go to work today’ and go and do something different. Your business will be able to survive a day without you – I can guarantee that. So, go and experience something different. 4. The fourth point is – and I work closely with clients on this one – is making sure you’ve got a clear outcome. How do you know you’re going around in circles – because reality is, you probably don’t have a goal that you’re working towards, you don’t have a plan, you don’t have targets, you don’t have KPIs. And reality is, when you put those in place in your business, you will find that you won’t have the same ‘Argh’ anxiety that you normally have being stuck in a rut or going around in circles. So one of the things is: be clear; make it really easy; make it the next 4 weeks. You know, you hear about all these big audacious goals and setting these massive goals in place, and what you want to do by the end of the year or what you want to do in the next couple of years. You know what? Reality is, who knows what’s going to happen in a year? So why don’t you set a goal for the next week? Say, ‘Right, by next week I’m going to do X with marketing’ or ‘I’m going to do X with sales’, or ‘I’m going to put this new customer service technique in’. Just have a goal for next week, and then once you achieve that, get a goal for the next one, because when you’re focusing forward you’re not going around in circles – and reality is, that will help being stuck in a rut. So guys, I hope you enjoyed those 4 points about going around in circles, about being stuck in a rut – and reality is, guys, I’m going to reiterate Point #1: it’s up to you to make that decision. And you know, you will feel so much better for it when you do decide and go and put some of those things in place that we’ve just spoken about – and if you can’t do that, just let us know. Contact us here at Black Belt Business. I have a link below. We give 2-hour free sessions to business owners to make sure they’re not being stuck in a rut; they’re not going around in circles. So click the link below; it won’t cost you anything. It’s not all sales-y; I’m not all about that. 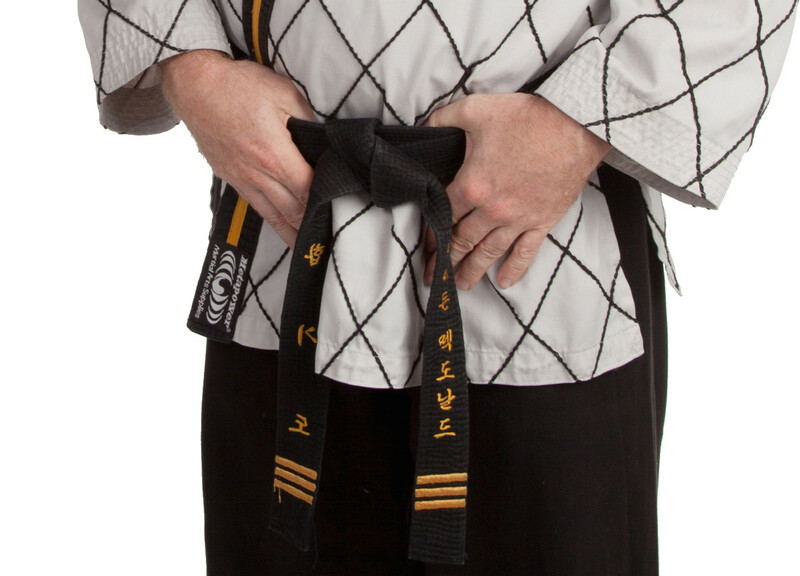 At Black Belt Business here, we want to give you the tools to be able to get where you need to get to – just like earning a Black Belt in business. So that’s enough for me, guys. My name is Nathan McDonald. I’m an Aussie, my passion is business, and my message is global. Have a great day, guys!